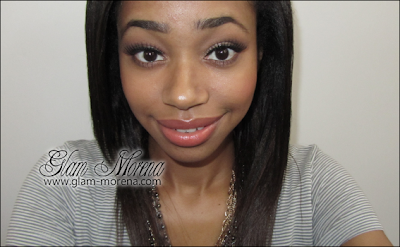 Glam Morena: Tutorial: Orange Lip Trend. Orange lips have become my new makeup obsession. I was super happy after purchasing the Revlon Lipstick in Siren that I've been wearing it a lot lately. I normally just pair an orange lip with a neutral eye. It's a lot easier to pull of than it seems! Are you rocking the orange lip trend this season? I don't think I could pull off orange lips but I do love the eyes! And LOVE that it's cheaper products! I sometimes get sick of beauty bloggers ALWAYS using MAC. haha Great job girl! You looks so gorgeous Rai! you have such gorgeous and full lips! great lippie color! Love the whole look on you..Gorgeous!!! Orange lips really suit you!! love stars and black color. I want to try this look! I love using earth tones. It came out very nice, you look pretty the orange lip def works on you.